Today’s post is for all you fellow bloggers out there. Whether you are writing an article, a book, or even a detailed blog post there are ways you can guarantee that your effort will be worthwhile for your readers. Some of these steps are used in college writing courses and some are from my own personal playbook. They are universal and you can apply them to any genre. 1. GIVE IT TIME: When first entering into a research project always give yourself enough prep time to work and to adequately collect your materials. As writers we often live and die by deadlines, but you must allow yourself a realistic opportunity to gather sources. Also look at the back end of the project. Tentatively map out time for editing and fact-checking in your schedule. 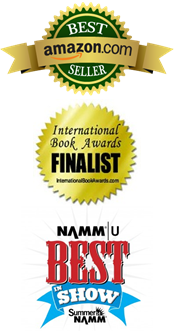 Hopefully everything will run smoothly, but prepare yourself and your publisher in case it doesn’t. It is also quite common for last minute materials to come to your attention. Often people will get wind of your project and send things that you didn’t even know existed. I always have a 1-2 month buffer clearly defined in my book contracts just in case the unexpected happens. 2. DEFINE YOUR GOALS: Write yourself a mission statement and then outline what you will need to achieve it. Once, I literally wrote the back cover copy of a book first. That gave me a “mental goal” to shoot for as I began to assemble the pieces of the puzzle. Of course at the same time you have to remain flexible and be willing to change or modify your plan of action if it will benefit the work. I co-produced a Civil War documentary and we were literally shooting 16 hour days while constantly shifting locations and schedules. We had a storyboard when we started, but as the film evolved, we had to evolve with it. One day we worked from 8:30 am to 2:30 am and over the course of that day we had to constantly adjust our plans. Be firm, but flexible. 3. PREP YOU TOO: Take some time to familiarize yourself with the libraries and archives you’ll be using. Each collection has its own system for reference materials and chances are they’ll have separate technologies to help you along. It’s a good idea to talk to the staff about where and how to start. If you’re under deadline, you don’t want to waste precious time trying to figure out where to locate materials. Make sure you know how to operate their microfilm viewers or computers. (They are not all the same). Also be sure to pack well. I travel sometimes when conducting research and I take a tablet, folders, a laptop, digital camera, pencils and pens, post-its, and you can even take a tape recorder if that works for you. These are the tools of our trade. Use them. 4. BE SPECIFIC: When you are compiling source materials (whether you are photocopying them or not) always be sure to take copious notes and write any additional info down on them that you may need later. This includes vol. numbers, titles, locations where they were found, what type of media they were presented on, any credit information etc. The last thing you want to do is spend hours and hours digging for a source and then a month later when you actually go to use it, have no recollection of where it came from. In addition, you may need to contact the archivist and/or librarian to request more information and you must refer them to a specific item. It’s not their job to redo your research. Write it all down. You’ll thank me. 5. NEVER GO SOLO: This is common sense in a lot of regards, but it cannot be stressed enough. NEVER use a single source. If you can’t find additional sources to validate a statement, delete it, or at least present it as speculation and honestly say “according to ____ …” You must establish credibility and once you lose that the rest of the piece is tainted. Research doesn’t always yield good reference. It can also lead to junk and that will result in mistakes. I know an amateur historian who wrote a short biography on a general. He wasn’t much of a researcher, but he did have a flair for writing. His book was released through a small publisher who didn’t have the time or money to fact-check and on the first page he horribly misquoted his subject. On the first page! The rest of the book was rendered meaningless by the sloppy research depicted in the beginning. 6: CHECK YOUR TECH: Today we have access to tons of cyber information, but we must always keep in mind that the facts on the Internet are only as good as the person who posted them. Therefore I always compare multiple sources whenever possible. I tell my kids that Google is not the end all. It is a great tool – but it does not provide all of the answers. Many a writer has looked like a fool after misquoting something off of Wikipedia.com. Ask any high school teacher what’s the worst thing to happen to today’s student study habits and they’ll probably say the Internet. Think about it. It’s Cliff Notes without any accountability! Please don’t misunderstand me, the Internet is a wonderful tool, but keep in mind that it will not compensate for sloppy research. In fact the Web can help to magnify poor work. I always try to cross-check digital data against printed sources. 7. ROUGH IT: Write your first draft as freely as possible, following your outline closely. Use all the information you feel is relevant and important. When you’ve finished the rough draft, check for accuracy and completeness of facts. If you think certain sections are too long or too skimpy, rework them until you feel they’re the strongest you can make them. Then, if you can, have someone who knows the subject look at it. Just as an editor’s eyes will catch things you don’t, a subject-matter-expert can identify any issues you may have with your information. If you don’t you are taking a chance and it may come back to bite you. Once it’s out there – it’s out there and there is nothing more embarrassing that having to write addendums and corrections if you don’t have to. Even the best researchers miss things during the composition process. 8. GIVE CREDIT: In the realm of historical writing, the bibliography, index, notes, and footnotes are often just as valuable to the reader as the actual narrative. 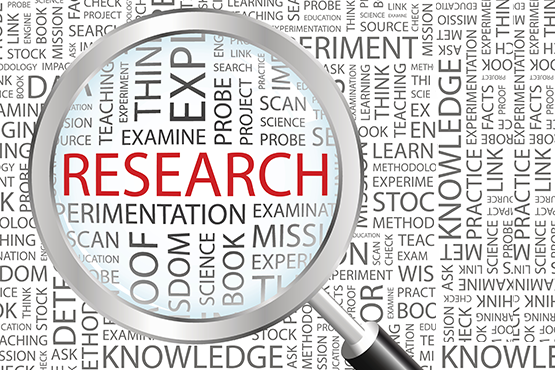 Many times a reader will want to conduct their own research into a topic and they will depend on your credit and source information to point them in the right direction. Additionally you want to make sure that you give credit where it is due, not only because it’s part of the process, but because it’s the right thing to do. This is where step 4 comes into play. Also you may want to go back and reuse an archive or collection and if they know you aren’t citing things properly, they may call you on it or deny you access. A writer can burn a bridge before they know it by not following proper protocol. Remember, you are just a visitor. These collections are in the constant care of the archivists and librarians. They are allowing you into them. 9. SAVE SOME: I’m not a pack rat, but I do have a rather extensive library and source collection that I refer to on a regular basis. Simply put, if you are going to spend all this time researching a topic, why not make it worth your while and assemble it in a way that you can refer to in the future. This is where my idea about folders comes into play. After years of doing this I have a nice stash. And it really works. I’ll have a question or assignment come up and I’ll pour through a book or two and then it will come to me that I probably have something relevant in file. You can waste a tremendous amount of time digging through piles and piles of unmarked and unorganized papers. Organize yourself now, and you’ll thank yourself in the future. 10. ENJOY: Research takes a lot of time – a lot of patience – and a lot of effort. If you don’t find a way to enjoy the process, it will be like pulling teeth. Aggravation and anxiousness are by far your worst enemy and they can derail any momentum you have as a writer. Take breaks. Eat and sleep. Now anyone who knows me would call me out on that one as I have worked myself sick on a number of occasions, but I can say from experience that you must take care of yourself. I’m a Christian and I have found myself praying for serenity on occasion and whatever your higher power is (or is not), find something to give you peace in those moments when you feel like you’re getting nowhere. (And believe me, there will be times you’ve had it.) I’ve spent an entire day at a library and left with nothing useful, but in reality, it wasn’t a total failure because I had identified a dead end and was able to move on. So even if you don’t walk away with something tangible, you still have narrowed your search in the process. Remember that. Research can be boring, and painful, and frustrating at times, but it’s also inspiring and satisfying. There is nothing more gratifying than digging through a dusty archive and uncovering something that hasn’t seen the light of day in years. Carl Sagan once wrote a piece about exploration and in it he stated that “Somewhere, something incredible is waiting to be known.” And that my friends is what research is all about. Several factors in Purdie’s story leave doubt that he ever played on these tracks. According to him The Beatle’s manager Brian Epstein paid him twice his normal rate to have Purdie overdub the drum tracks, not the Beatles producer George Martin. 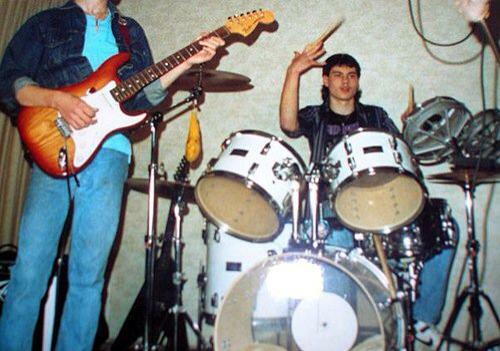 Epstein had a reputation for being frugal and would not have paid a session drummer, no matter what his reputation, an extravagant amount of money. One possible reason for Purdie’s claims is that he may have played on one of The Beatles rip-off groups that popped up shortly after The Beatles’ first groundbreaking appearance on the Ed Sullivan Show. This included The Buggs, The Beetles, The Liverpools, and The Manchesters. He may have simply confused the counterfeit band for the real thing. Purdie’s misidentification of the song “She Loves You” as “Yeah Yeah Yeah” also seems to support this interpretation. These four Beatles songs with eight additional songs by an otherwise forgotten British “beat” group called The Swallows was released as The Beatles: Ain’t She Sweet. Since Pete Best’s drumming was weak on these four tracks, Atco overdubbed the drumming. 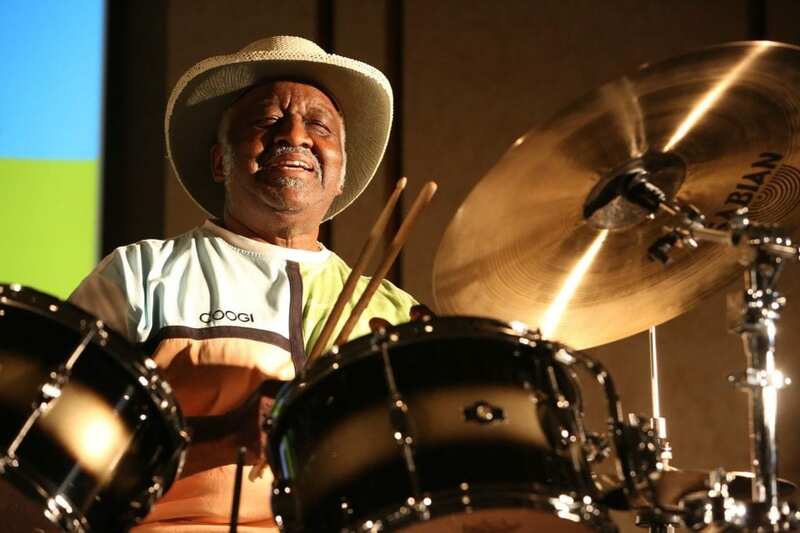 If Purdie was the drummer on these overdubs, his claims to have played on several Beatles recordings might be true in that regard. Today I want to talk about a major milestone in any musician’s life, the first gig. You remember it. That nerve-racking performance that you worked so hard for, learning all of those songs while trying so hard to perfect your set-list. Selecting each song carefully while crafting the show. Practicing over and over until you honed each song into a seamless copy of the original. Remember the nervousness you felt before going on stage? Sweaty hands. Butterflies in your stomach. Maybe even shaking a little. And then it starts and you lock into that first song. Looking out at the crowd knowing that they are entertained by your efforts. And then you realize why you’re there. And why all of that work pays off. And what makes you want to play an instrument in the first place. The music surrounds you. The lights envelop you. The adrenaline pumps through your veins and for a couple hours you share all of your hard work with an audience that came to see you perform. There’s no other feeling like it. There will be only one “first gig” and you’ll never forget it. My first gig came when I was 14. It was a party at a friend’s house and I remember banging out a set-list that had a lot of Van Halen in it. 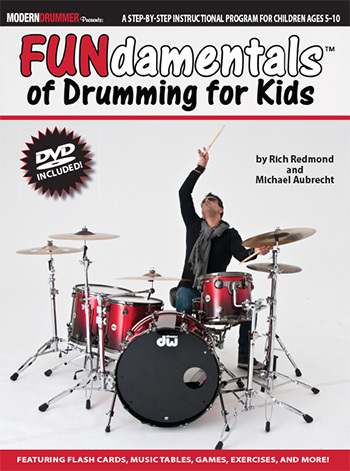 I also remember doing one of the two drum solos I ever did. The other came a few months later at our second gig at the bass player’s house. I haven’t solo’d since then. That’s probably why I’m not a fan of them. We set up in the dining room on hard wood floors and the drums were l-o-u-d. The other guys had to turn up their amps to compensate. I also remember doing a rap we used to goof on in between sets. We liked rock and rap. It was also around this time that I started dating my wife. That’s right. I’m 46 and still married to the same girl. She still puts up with drums in the house. I also remember my hands cramping up after the show. Damn that hurt, but I learned a valuable lesson to drink water while I played. I’ll never forget that night. 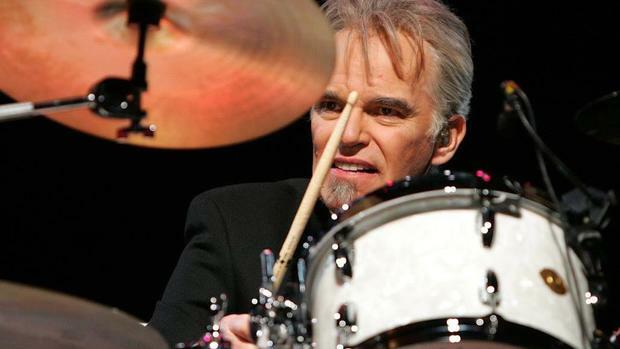 Most people are probably unaware that Academy Award–winning actor Billy Bob Thornton is an accomplished drummer. Playing since the age of nine, Thornton leads a band called The Boxmasters. A homage to his ’60s youth and hillbilly roots The Boxmasters play originals and cover tunes, including countrified versions of The Beatles’ “I Want To Hold Your Hand” and The Who’s “The Kids Are Alright.” Thornton handles all the drums on the record, as well as lead vocals. On tour, he leaves most of the drumming up to Mike Bruce so he can come out front to handle the vocals. Thornton started out on Ludwigs as a kid, a red-sparkle four-piece kit with a ride cymbal, and graduated to Slingerlands which he continues to play to this day. He sets up his four-piece similar to how Buddy Rich did with all of the drums and cymbals positioned low and flat. Thornton credits drumming for bringing him out to LA in the first place. Originally he started out in the early 80’s playing drums and singing in a band called Tres Hombres. In 1985, Thornton joined the South African rock band Jack Hammer. It was then he claims to have accidentally become a movie star. In 2001, Thornton released an album titled Private Radio. Then The Edge of the World (2003), Hobo (2005) and Beautiful Door (2007). With The Boxmasters he has released The Boxmasters (2008), Christmas Cheer (2008), Modbilly (2009), Somewhere Down the Road (2015), Providence (2015), Boys and Girls… And the World (2016), Tea Surfing (2016) and In Stereo! (2018). Today he only does two movies a year so he has time to record and tour. It seems like you can’t go anywhere on the internet today without finding a new scandal surrounding someone wearing blackface. Politicians, entertainers, fashion designers and even law enforcement officials are being identified every day for wearing blackface makeup for a variety of reasons. All of them wore blackface in the past and didn’t think it was offensive. Now they are being identified using photographs they never thought would backfire on them. Obviously they are asking for forgiveness. It’s not difficult to acknowledge that this is deplorable behavior and has no place in a society that prides itself on equality. Blackface was a racist practice prior to the Civil Rights era and was used to dehumanize African-Americans and entertain white society. Minstrel shows were the main promoter of the practice which was performed on stages around the world. It is still practiced in some countries. Many musicians wore blackface and performed music on stage and in parades. Many of their performances were captured on film and they were played in theaters for predominantly white audiences. 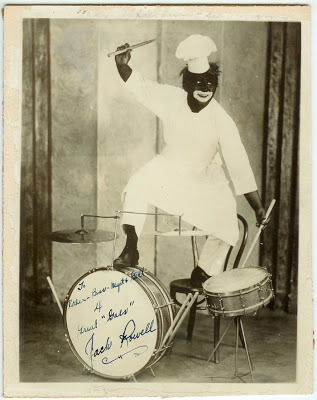 Drummers were included among the blackface musicians although it is difficult to find any photographic evidence singling out a drummer. I was able to find this autographed photo. The autograph appears to say “Jack Russell.” You will notice that he plays a kit consisting of a snare, bass drum and two cymbals. He also uses a regular chair to sit in. I cannot tell if he has a bass drum pedal or if he used the “double-drumming” approach in which he played both the snare and bass drum with sticks. It is difficult to determine the exact year of the photograph but based upon the set-up I would venture to say it was taken in the early 1900s. In honor of Black History Month, here are two brilliant drum solos by my favorite drummer Papa Jo Jones. His technique and creativity is extraordinary. Jones influenced many drummers both black and white. Many copped his tricks. As morning broke shadows awoke from their twilight slumber and began to stretch their limbs in acknowledgment of the recurring day. Below in the valley, an army was also just beginning to stir. Many soldiers however, did not share nature’s sentiments in welcoming back another sunrise. Exhausted, homesick and terribly traumatized by the horrors they had witnessed on the battlefield, the promise of another day was nothing more than prolonged suffering. After all, weeks had turned into months, months had turned into years, and no end appeared in sight. Many felt as if they had been on campaign forever. Most were only able to find a sense of peace and comfort while sleeping. That is, when they could sleep. Looking more dead than alive, they were now faded memories of the vibrant men they had once been. Long gone was the patriotism and thrill of recruitment parades and brand new uniforms. No longer were they believers in the promise of adventure or the romance of war. Emerging from their weathered tents, some struck fires as the smell of stale coffee began to permeate the air. The gentle sounds of the surrounding countryside gave way to the neighing of irritated horses. As they began their daily rituals, muskets were inspected, swords were sheathed and once pristine jackets were pulled on over dirty white shirts and tattered suspenders. The stillness of the morning was broken by the sound of a long roll acting as reveille calling the men to attention. Ironically it was the responsibility of boys to command these men to muster. Boys who had marched off to participate in a man’s conflict. The army relied on the services of these boys as musicians and as communicators. Just like their counterparts, they were regulars. Military divisions had multiple drummers spread throughout their ranks. They suffered the same hardships as the men. 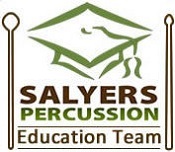 Whether playing a monotonous cadence to keep men moving while on long marches, long rolls to call men to assemble in the mornings, or booming signals to communicate for their officers on the battlefield the skill at which the drummers played was far too often overlooked. 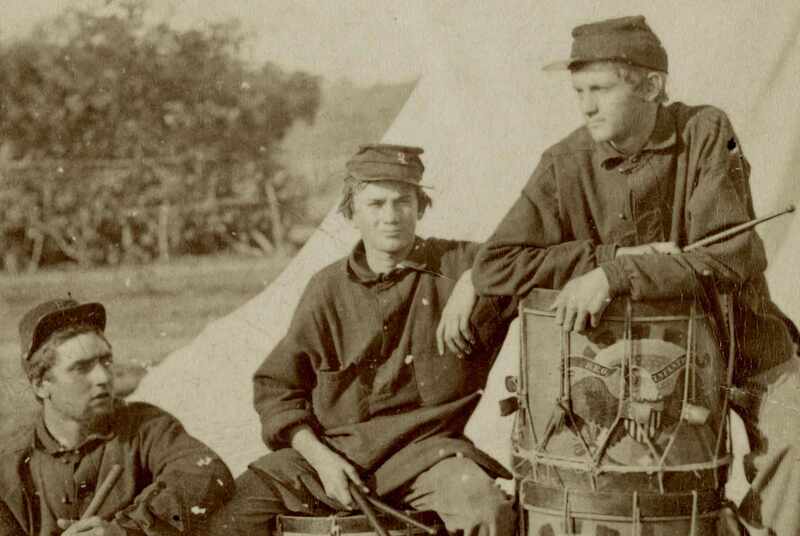 Drummer boys during the Civil War were required to play 26 rudiments. The courage at which this had to be done was also neglected as the youthful age of these boys paled in comparison to the men they served. The precarious risk at which they put themselves in was often equal to that of their elders and when they were not acting in the role of musician they served as stretcher bearers witnessing firsthand the horrors of war and the carnage it inflicted on those who fell. As rows of anxious soldiers took the field drummers played the Call to Battle to keep them assembling and in step. Lining up the rank and file the daring infantry waited for the signal to move forward. Standing by the officers on the field the drummer boys managed to maintain their composure despite their obvious fear and provide critical communications to gesture movement. The scent of smoke filled the air and permeated their already dusty clothes. Once fully engaged they often moved to the rear, exchanging their drums for makeshift stretchers. From then on they struggled to maintain their composure as they carried their bloody comrades off the field. Perhaps that was their greatest challenge of all. Whether drumming on the march or bearing the wounded these courageous boys quickly grew up in a man’s war. They had to.